In this video you are going to learn about protocls and services. 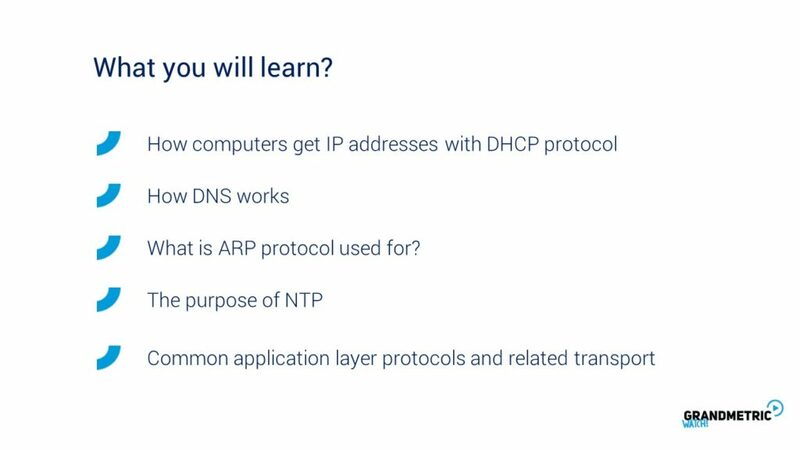 You will find out how computers receive IP addresses, how name to ip translation system known as dns works, how computers use arp protocol and what is the purpose of network time protocol. 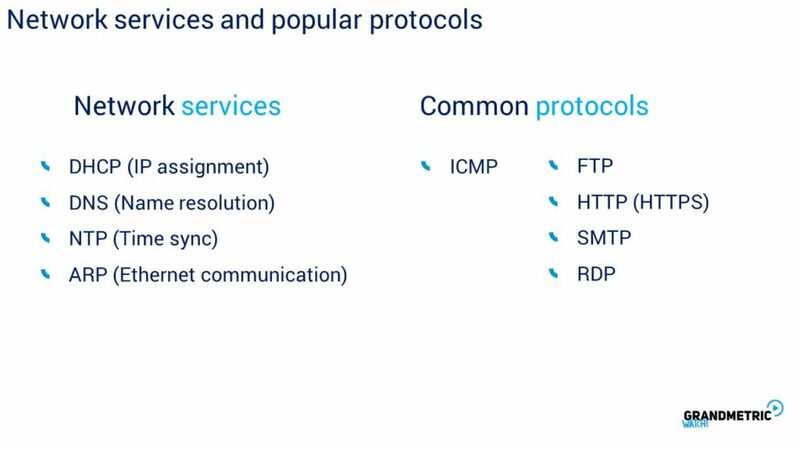 At the end we are goint to explain the common application layer protocols end respective protocols that they use for transport. We will foces basically on two groups of protocols and services. 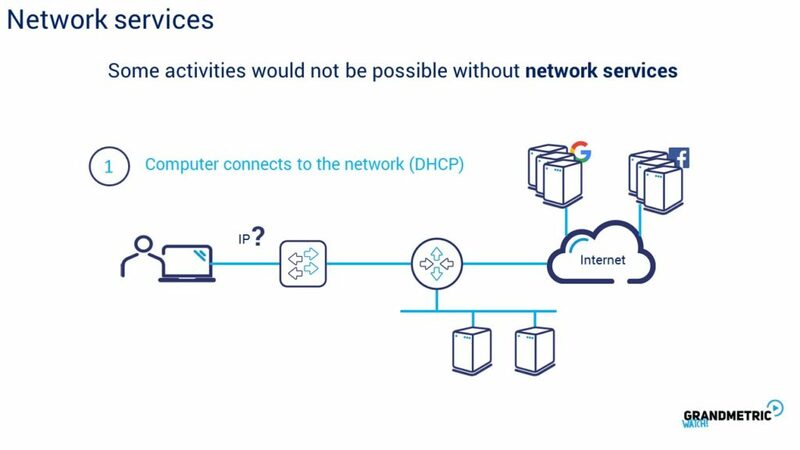 Network services like dhcp for address assignment, DNS for name resolution, NTP for devices time sync and ARP – crucial for Ethernet communication. On the other hand we have common aplicaiton protocols used these days like ftp for file transfers, https for browsing , smtp for email sending, and more administration related RDP for remote desktop connections. You can see also icmp in protolos group but speareted – this is because icmp is an sepcific protocol for network verification funcation and its not application layer but network layer or L3 protocol. The network jurney for the users around the globe starts everyday with network connection proces. Depending on what medium they connect to wifi or wired or ¾ g there is always some kind of ip address assignmetn proces needed. Devices in ip world are not able to communicate without an ip address. There are basically two options of address assignment: static and dynamic. In static proces computer has to be configured manually by user. User needs to know all the addressing details like free ip address, network mask to identify itself in the network, default gatway and dns servers. 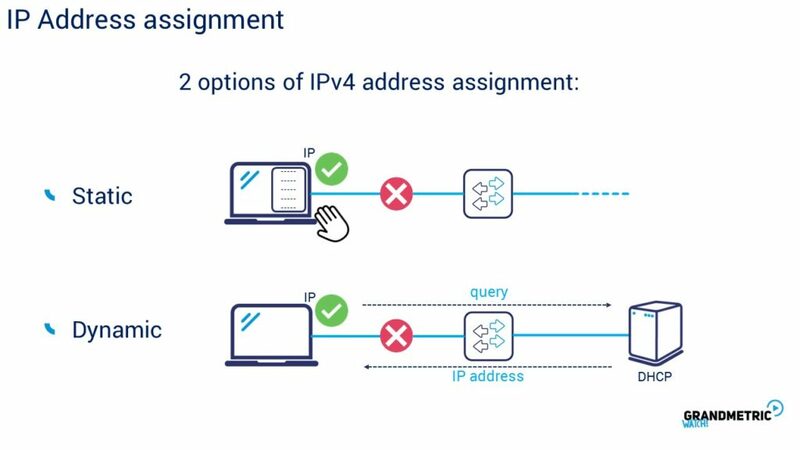 One important thing is that the most commonly, user doen not know about how to configure address, and there is also no details regarding subnet details, moreover static assignment demands the knowledge of ip allocation status to not duplicate the address by accident. Thaths why the dynamic assignment is most commonly used in netwrok environments. The common rule is that end devices got ip dynamically when network devices like routers or switches have their addresses manulay configured. So lets follow the dynamic assignment proces. Basically there is and idea of having central ip assignmnt service that grants the ip addresses based on specfiied address pool for particular subnet. This service is called DHCP server. DHCP server centrally manages the pools for respected subnets and keeps track of leased addresses avoiding IP assignment conflicts. The process usualy starts happening just after computer connects the Ethernet cable or to wifi ssid. Computer is called DHCP client. When the network interface card is up operating system automatically sends first packet named DHCP discover to discover available DHCP server. Take a look at first step. DHCP discover is broadcast packet meaning it is send withing Ethernet segment to all devices. 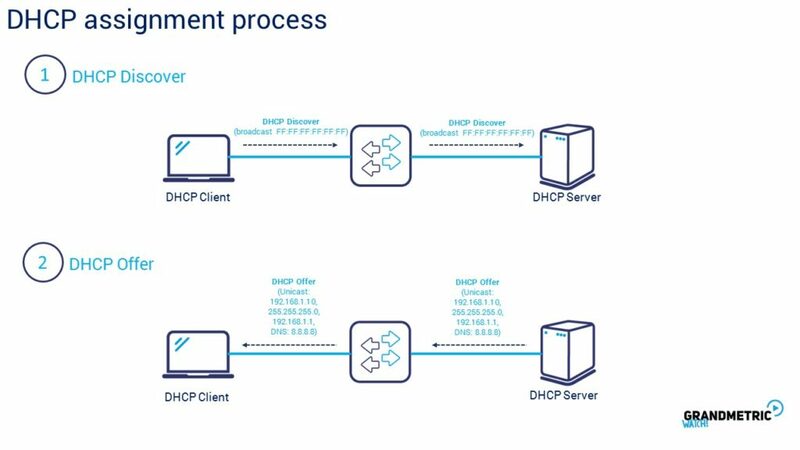 This is mainly because DHCP server is not known for client when first connects to the network. DHCP discover use destination IP of all ones – 12 Fs in layer two. This broadcast frame comes to server and server prepares and send the offer which is step 2. In DHCP offer server replies with Unicast address meaning directly to DHCp client with IP addressin proposition. This offer contains the IP address for the client, network mask, default gatway for this subnet and optionally other options like The DNS server address anyway which is crucial for for example browsing and Internet operations. 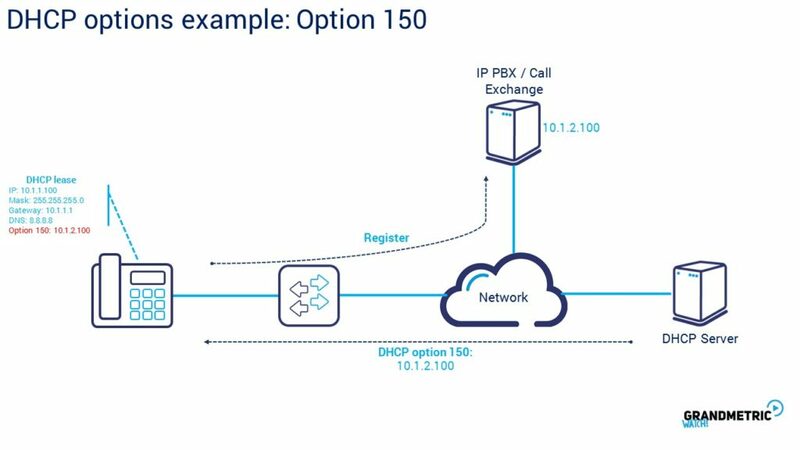 After the offer is received by the client, client confirms the offer by sending DHCP request for this offer directly to server with unicast. This step 3. The 4th step of proces is the confirmation snet by dhcp server to client that ip address is granted. Server then writes the IP lease in binding table which contains leased IP and MAC address of the client. Process ends and client is able to start communicating. 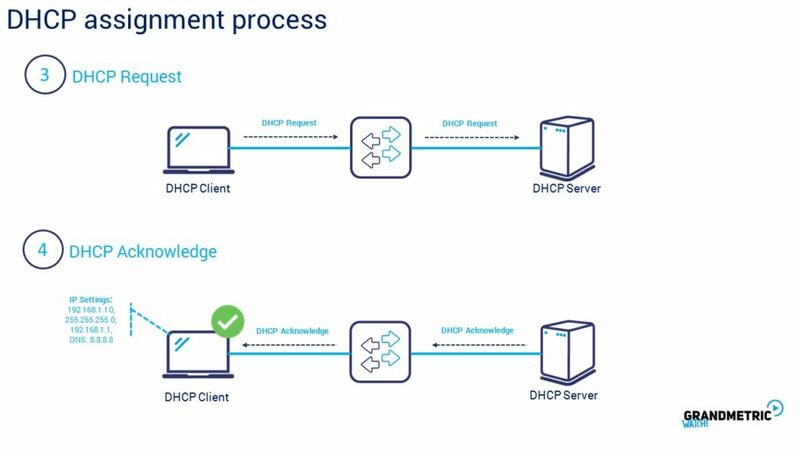 Let’s look closer at dhcp infformations which travel within the dhcp offer from the server. We can device tchem to two groups: mandatory and optional items. 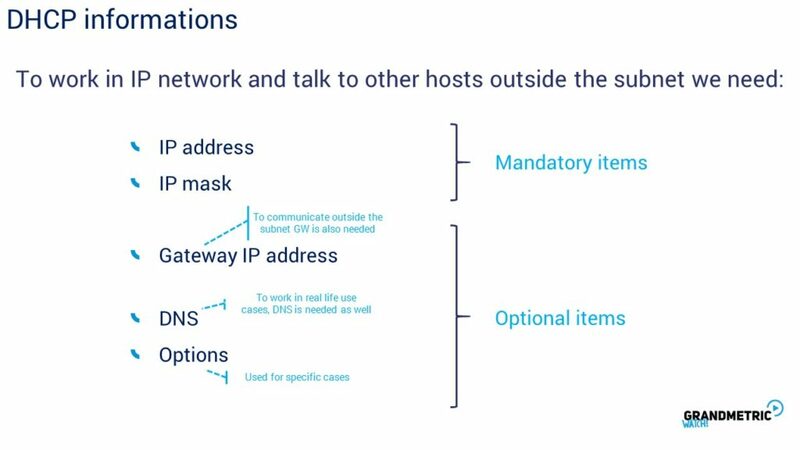 Mandatory items are always ip address and network mask. And it is enough tfor client to communicate with its Ethernet segment but in real life scenarios clients need to go out of their subnet and because of this, the gaeway is crucial. DNS is theoreticaly also optional but without this the name translation would not be an option and we will talk about the dns later in this video. Tha last thing is an option. 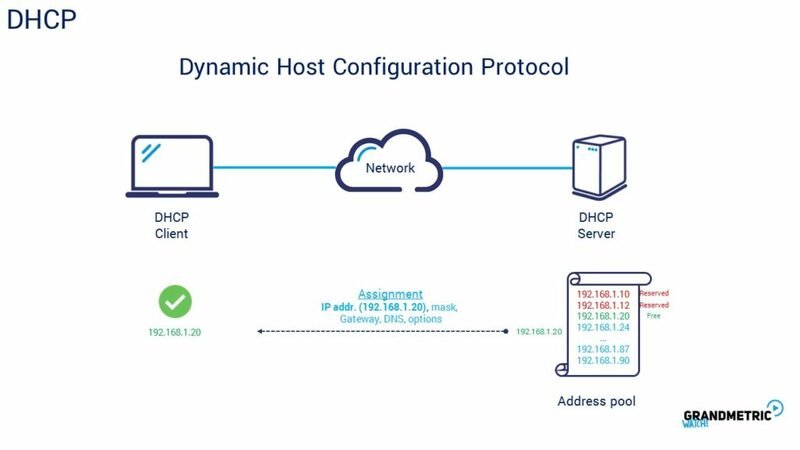 DHCP option can be sent by server in special cases. There commonly network cases as for example. In IP thelephony. IP phone also gets the ip address form dhcp server but needs option 150 to find the exchange for numer registering. In such manner the phone gets the option 150 which is IP of IP PBX or Call Manager. Then can start registering.